On Monday, Mayor Judy Kennedy, the independent Democratic candidate for reelection, launched her general election campaign for Mayor in front of 197 Lander Street. 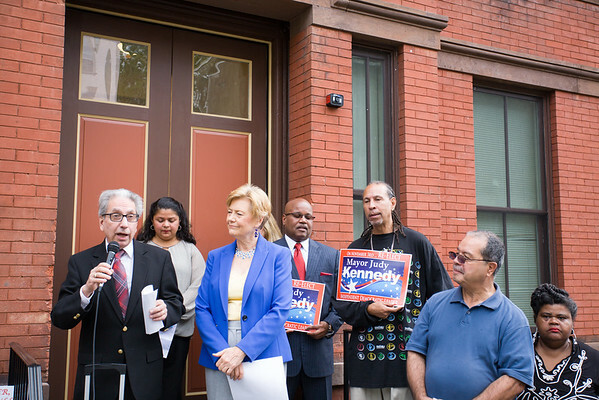 Former Republican Mayor Nicholas Valentine offers his support on Monday, to Mayor Judy Kennedy, the independent Democratic candidate for reelection, launched her general election campaign for Mayor in front of 197 Lander Street. Hudson Valley Press/CHUCK STEWART, JR.